The Christmas Chronicles (film, 2018). A 2018 American Christmas film by Netflix. Directed by Clay Kaytis. Official Trailer. 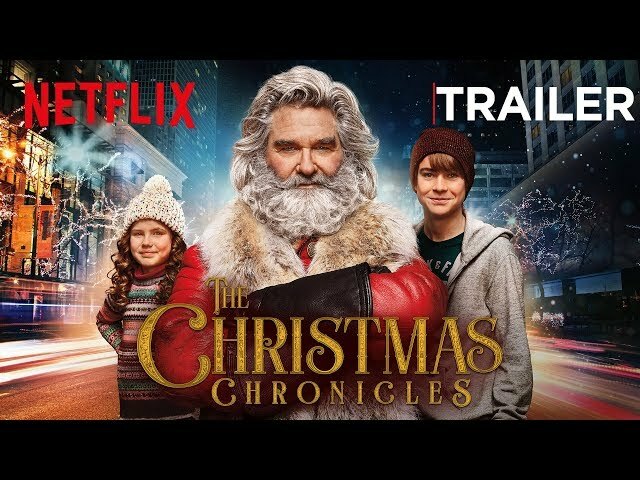 The Christmas Chronicles is a 2018 American Christmas film directed by Clay Kaytis. 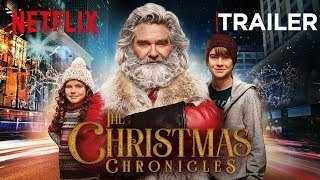 The Christmas Chronicles | Official Trailer | Netflix. In Lowell, Massachusetts, Christmas has been a cherished tradition in the Pierce household for many years until 2018 when the father Doug (Oliver Hudson), a firefighter, dies in the line of duty. The widow mother Claire (Kimberly Williams-Paisley) struggles to hold the family together, especially the older child, Teddy (Judah Lewis) who has started stealing cars. The younger child, Kate (Darby Camp) nevertheless hopes to keep the Christmas spirit alive. On December 24, 2018, Claire is forced to fill in for a coworker, leaving Teddy to look after Kate. While watching old Christmas videos, Kate notices a strange arm appear out of the fireplace. Kate believes this is Santa Claus and asks Teddy to help her prove he exists. Teddy is skeptical and refuses to help, but Kate blackmails him with a video of him stealing a car earlier that day. The two set up a makeshift trip wire by the fireplace linking it to a Christmas bell and set up a camera behind a door with the knob removed where they wait. Kate is woken up by the bell and sees Santa in their living room, but he leaves before Teddy can see him. However, they hear him moving on the roof and go outside. When they get on the street, they see Santa's sleigh and reindeer floating above them. They also see Santa hopping from rooftop to rooftop at light speed. Kate decides to hide in the sleigh to get a closer look at Santa, to which Teddy objects, though he reluctantly follows her. Santa eventually returns to the sleigh and rides off with the kids in tow. When Kate decides to make her presence known, Santa and the reindeer are startled and he loses control of the sleigh. After teleporting to Chicago, Illinois, the sleigh breaks down, causing the reindeer to scatter and the bag of presents to be lost. Principal photography began in January 2018 in Toronto, Ontario. 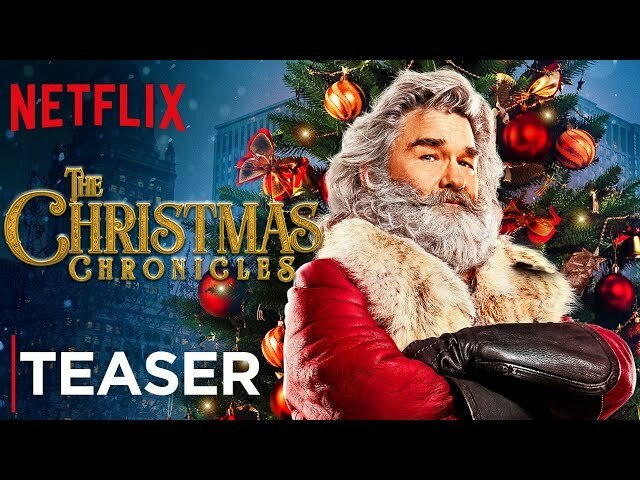 The film The Christmas Chronicles was scheduled to be released by Netflix on November 22, 2018. The duration of the film is 104 minutes. The film's budget is Unknown, possibly over a million dollars.. The Christmas Chronicles got high rating from critics. The audience also likes the film.